Let's not have any false equivalence. This shutdown is Republican-led or, more accurately, led by a faction of Republicans. The Peter Kings and John McCains didn't want to link Obamacare to a continuing resolution to fund the government. House conservatives did. That doesn't mean, however, that Democrats are entirely blameless. Part of the foundation for today's paralyzed Congress came during the George W. Bush years, and it involved Harry Reid, now the Senate majority leader. In today's Washington, Reid and Senate Democrats are apoplectic not only about the shutdown but about the unprecedented use of the filibuster being deployed by the Republican minority. (See the statistics here on the incredible surge in filibuster use.) But back in 2003-05, Senate Democrats were in the minority, and they used the filibuster in ways that presaged and created a path for the Republican extremism. Comparing Reid's filibuster policies when the Democrats were in the minority to the current obstructionism of Mitch McConnell, is comparing playing with matches to being an arsonist. But arsonists start by playing with matches, and it's worth looking at how Reid took the filibuster, once a break-glass-in-case-of-emergency tool and used it freely in helping to build the culture of confrontation we have now. After the 2002 elections, Democrats lost their Senate majority and were eager to use whatever tools they could to stymie Bush's conservative judicial nominations. Famously, since the nomination of Robert Bork to the Supreme Court in 1987, senators had been assessing a nominee's ideology rather than their academic qualifications. But in the years afterward, senators became less and less hesitant about using the body's myriad delay tactics to stall nominations from even getting a vote. (Bork, at the very least, got one and lost.) By the time of Bill Clinton's presidency, Republicans had no compunction about bottling up any number of judicial nominations, especially as his term came to an end using only-in-the-Senate tools like holds. This included Clinton's nominee, Elena Kagan, who never made it to the D.C. Circuit Court of Appeals, because her nomination was never given a hearing in the Judiciary Committee then chaired by Republican Orrin Hatch. When Democrats returned to the minority in 2003, Reid, then the minority whip, took out a cannon when before only pistols had been used to shoot down nominations. Democrats employed the filibuster as a weapon of choice. "If it all began with Robert Bork. No doubt the intensity of judicial nominees heated up at that time — and now the Republicans have taken to extreme and it's filibusters on steroids," says a top Democratic staffer from that time, recalling the road to chaos. Granted, Reid's tactic was not the first time the filibuster had been used to scuttle a judicial nomination. It happened in the 19th century, and it also took place in 1968 when Lyndon Johnson tried to elevate Associate Justice Abe Fortas to be chief justice. (Fortas eventually resigned from the Court over ethics issues.) But Reid embraced the filibuster as the chief tactic in undermining judicial nominations. Norm Ornstein, known as a nonpartisan congressional scholar, has gotten attention for a new book, It's Even Worse Than It Looks, that lays most of the blame for Washington's current gridlock squarely on Republican extremism. Still, Ornstein calls the Democratic judicial filibusters of the previous decade distasteful. "It was a bad moment that routinized filibusters," he says. Most notably, Reid used the filibuster to scuttle the nomination of Miguel Estrada, a conservative lawyer who had been a federal prosecutor and an assistant solicitor general. The president's nomination of Estrada to the D.C. Circuit Court of Appeals, arguably the nation's second-highest court and a springboard for the Supreme Court, set Washington buzzing. Of Honduran descent, Estrada is of an ethnicity that put him on a conservative wish list for the Supremes — if he first could get on the D.C. Circuit. Democrats recognized this, too, and seized on his conservative politics, which was entirely justifiable, although any number of liberals thought Estrada a good pick. Kagan herself said during her Supreme Court hearings some years later that Estrada would be an "absolutely superlative" jurist. But the Democrats held up a vote on Estrada at first, they said, to get more answers. Reid was integral to the obstructionist strategy. "Mr. Estrada comes with a scant paper trail but a reputation for taking extreme positions on important legal questions. He stonewalled when he was asked at his confirmation hearings last fall to address concerns about his views," Reid said in 2003, explaining one of the many delays and sounding every bit like the Republicans who would later oppose Obama's nominees for similar reasons. But it's not like Reid & Co. moved on to a vote after a reasonable period of collecting information. The nomination languished for almost two years. Eventually, Estrada withdrew his nomination. (Disclosure: Estrada was a member of the team that represented me and Time Inc. in the CIA leak case.) Before it was over, some 10 Bush nominees were blocked through the filibuster. In early 2005, the Republican majority in the Senate, then led by Bill Frist, openly discussed the "nuclear option" to curtail the filibuster. (Today, Democrats now in the majority and bedeviled by the Republicans, make similar arguments.) To avoid the conflagration, more than a dozen senators of both parties, the "Gang of 14," came to an agreement that the filibuster would not be used against judicial nominations unless it was under "extraordinary circumstances." The concord wasn't formally voted on in the Senate, but it was informally adopted as policy. It stood as a rebuke to Reid and the Democratic tactics. The peace didn't hold, of course. Filibusters are now de rigeur in the McConnell era. It's impossible to imagine so many senators even being capable of coming together to offer a voice of sanity. 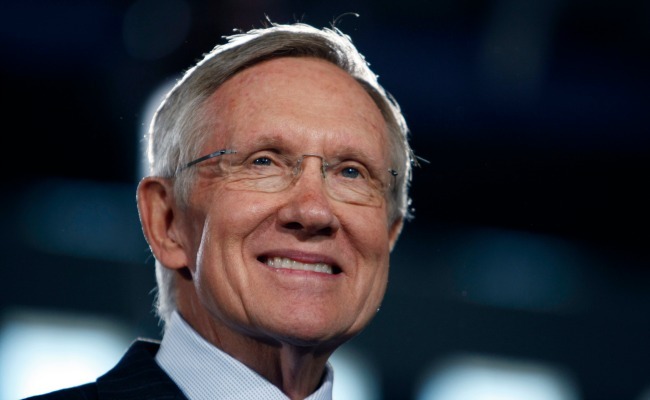 For his part, Reid has said he's considering pushing for substantive filibuster reform, even if he hasn't acted on it. Better late than never.